Laurein summer collection 2013 was revealed yesterday. In it are a few printed and embroidered designs for the summer. The designs consist of printed shirts, dupattas and plain trousers. 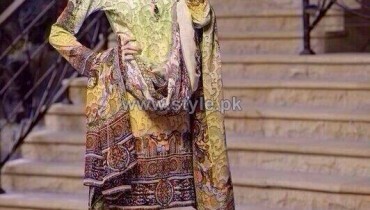 Abstract and floral motifs can be seen in Laurein summer collection 2013. The designs are quite feminine and pretty.Cool colors for the summer have been used in the collection. All the clothes in this summer collection can be used for casual wear. Moreover, ladies of different ages and lifestyles will find these suits quite appropriate as the designs seem to be suitable for all women. Laurein summer collection 2013 is thus, quite suitable for many of those women, who are in search of some trendy dresses to wear in summers. Laurein or Laurien Printed and Embroidered Fabrics is an upcoming fashion and clothing brand in Pakistan. It came into being in the year 2012. It was launched in the month of Ramadan 2012. The brand’s previous collections including Laurein winter collection 2013 for women consist of some really stylish dresses. Its nice dresses for casual and party wear have enabled it to gather a reasonably good amount of fans in a short period of time. As its name suggests, the firm offers printed and embroidered fabrics for ladies. 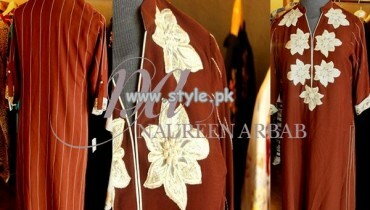 The brand is based in Lahore and has an outlet in the city. You can see pictures of the beautiful dresses in Laurein summer collection 2013 for women below. Have a look at the pictures of the dresses. You should visit the outlet of Laurein soon, if you are thinking of buying anything from Laurein summer collection 2013 for women. If you want the address of the outlet or other information about this brand, visit the Facebook fan page of Laurein. The address of Laurein Printed and Embroidered Fabrics’ Facebook fan page is given below.